It's been a while since I have had a serious pizza craving, but now that I'm back on campus and gearing up for yet another semester, the abundance of pizza around totally had me longing for a slice (or the whole pie!). After a rave review of Blaze Pizza's Disney Springs (Downtown Disney) location from Sarah at Gluten-Free and Dairy-Free at Walt Disney World, I set off for Baltimore's Inner Harbor to check out my local Blaze Pizza. Located steps from Baltimore's bustling harbor area filled with historic ships, amazing views of the Chesapeake, and attractions (Nat'l Aquarium), the location is prime and easy to access. Blaze Pizza offers custom designed pizza creations, flame seared, to deliver a high end pizza experience in mere minutes and at a totally reasonable cost. As much as I eat out, dedicated gluten-free bakeries are relatively rare discoveries, as there are not an abundance in the Baltimore-D.C. area. 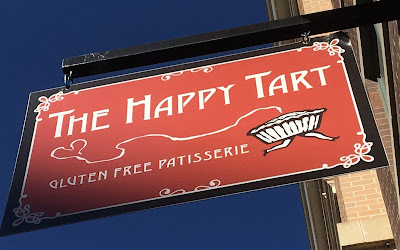 While staying in Tysons Corner, VA for my recent D.C. trip, I was excited to see that I was in close proximity to Falls Church location of The Happy Tart, a dedicated gluten-free patisserie that I first found out about through a rave review from Alexis at Alexis' Gluten-Free Adventures. While most gluten-free bakeries stock cupcakes and cookies, The Happy Tart's goal is to not only have a plethora of gluten-free baked goods, but to produce top-quality pastries that will make you forget that gluten is missing at all. For anyone who has followed my blog for any length of time, it's clear that I totally have a soft spot for tacos, and Mexican cuisine in general. 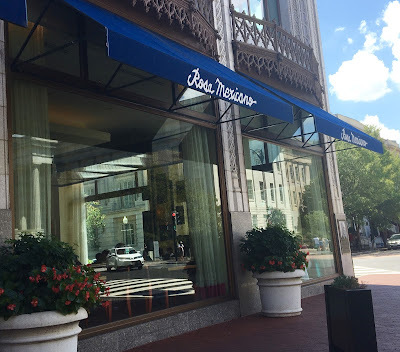 While in D.C. before heading back to school in Baltimore, I pinpointed Rosa Mexicano on my must-see list, right up there with the Library of Congress and the Smithsonian Air and Space Annex (both must see destinations in the city). 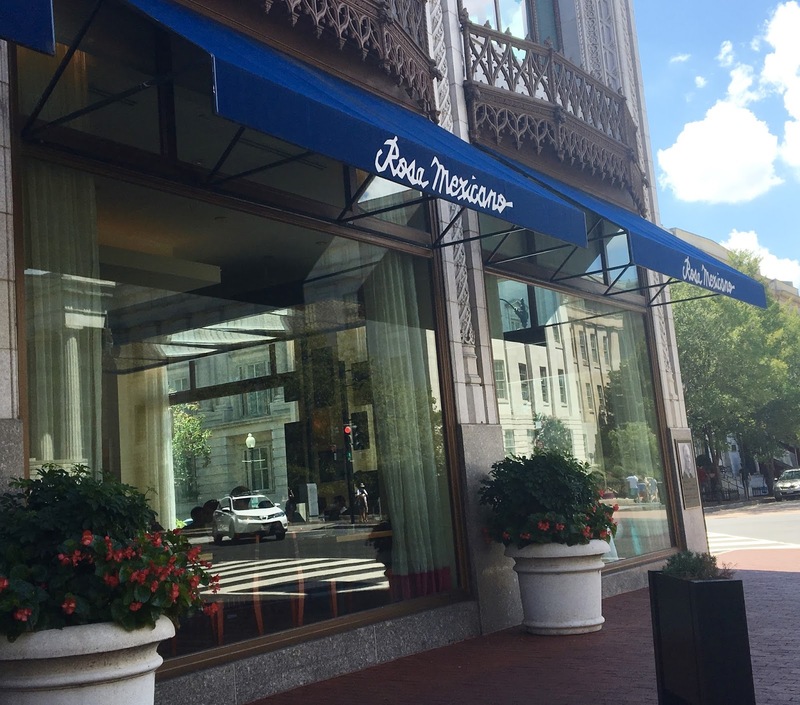 Rosa Mexicano is an upscale eatery that strives to showcase the regional flavors of Mexico with flair and finesse. Applauded for serving "elevated Mexican cuisine," Rosa Mexicano combines great food with an intriguing interior for a memorable dining experience. With gluten-free know how and plenty of options on hand, Rosa Mexicano is a restaurant I had high expectations of from the start. 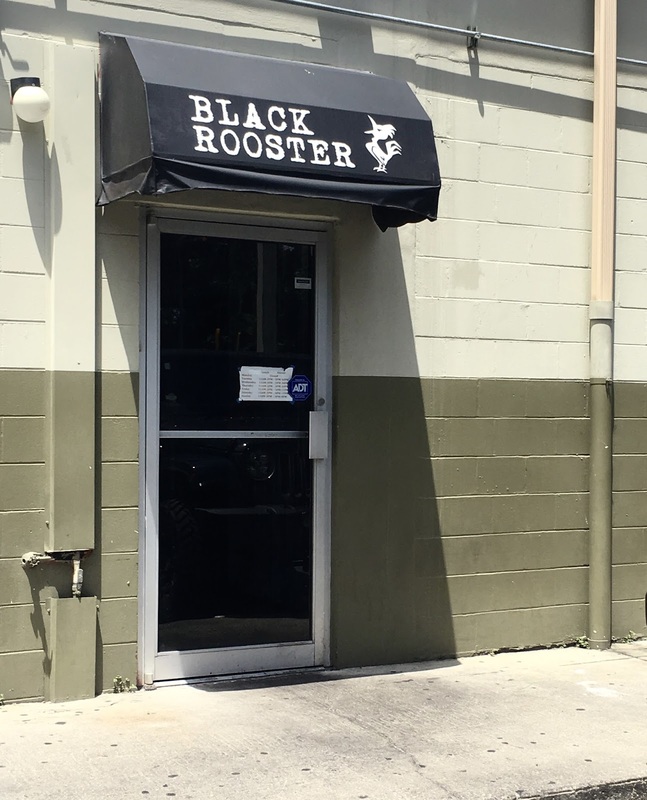 With such a high bar set, I hoped that the restaurant would be every bit as good as I had heard. When it comes to fast casual dining, I am all about design-your-own bowl concepts (such as Sweetgreen or ShopHouse), which enable me to pick and choose a custom meal that makes getting all my veggies both easy and delicious. 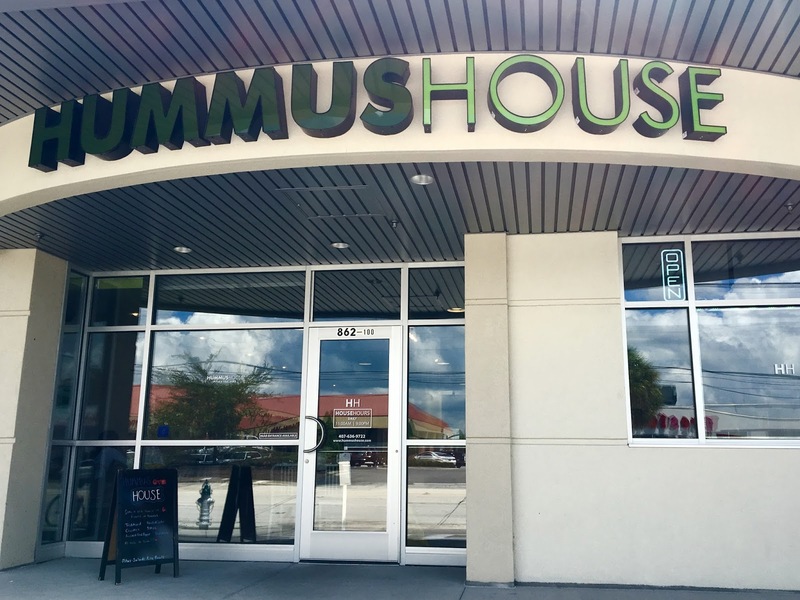 For my final meal eating out in Orlando, I decided to check out Hummus House, a local chain with locations near UCF and Winter Park. Here, hummus clearly takes center stage, in customized salads, pita sandwiches, or rice bowls. 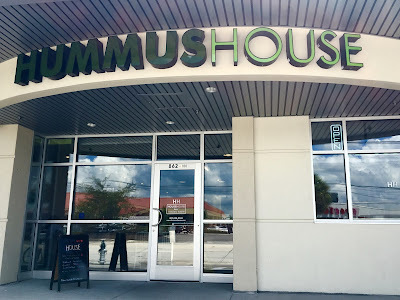 Although I'm not the biggest of hummus fans, my curiosity was peaked so I managed to squeeze it into my packed itinerary during my short visit to Orlando. By far my favorite area of Orlando is the Mills 50 neighborhood, where the restaurants are abundant and tourists are rarely found. The area is a gold mine for top quality (and affordable) eats, and has a wonderful concentration of Asian restaurants representing the diversity of Asian countries. Ironically, Asian food is really hit or miss for gluten-free eaters. Soy sauce, breadings, and noodles must be navigated around, but as far as cuisines go, Asian food is pretty safe on the whole once you go beyond Americanized Chinese Food (which is not even authentic anyway). Mamak Asian Street Food caught my eye on Find Me Gluten-Free and lured me in in with the promise of tasty street food, a genre of Asian fare we certainly lack in Baltimore. The menu boasts a nice variety of tapas, soups, and entrees, and if the concept sounds familiar to local Orlando readers, Mamak certainly invites comparisons to Hawkers Street Fare (which is owned by family members of Mamak's owners but the two restaurants are independent). Since it has been quite a while since I have been to the other restaurant, I was more than happy to let my Mamak experience stand on its own. One of the largest gluten-free friendly retailers out there is Amazon, where one can find gluten-free fare, kitchen utensils, and cookbooks all in one place. However, they took their online bazaar to a whole new level with the introduction of Amazon Dash, a one-button system that allows Amazon Prime consumers to order their favorite brand's products whenever the thought strikes. 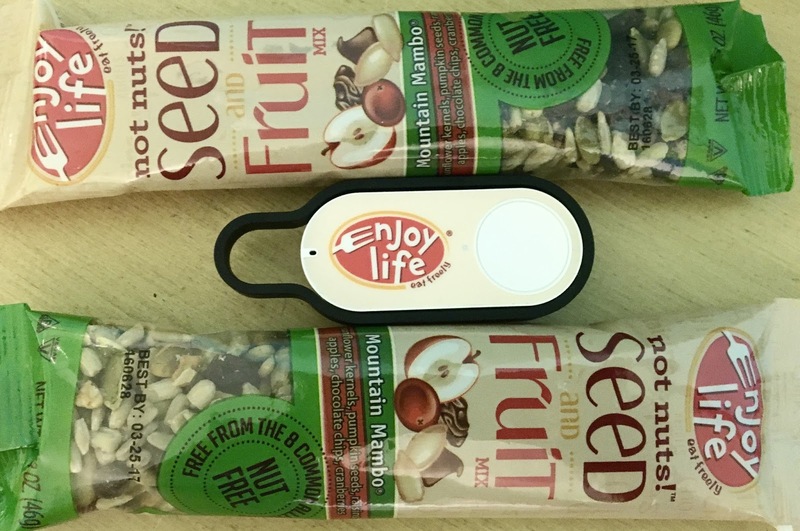 While most of the buttons correlate to cleaning products and non-gluten-free fare, the launch of Enjoy Life Foods button definitely is noteworthy for foodies of all dietary restrictions because now the company's top eight allergen free food is available at your fingertips. Perfect for college students, busy families, and anyone who wants to shorten their shopping list, I couldn't wait to give the button a try as an official Enjoy Life Foods blogger.